Strategies to enhance the care-giving capacity of those who care for people with mental disorders have a positive impact on management and treatment plans. MHI provides caregivers the much needed support that bridges the road on the journey toward mental health prevention services. 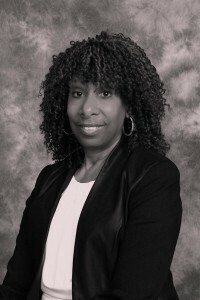 Aside from being a parent steeped in mental health experience, Charisse Beach is an educator and subject-matter expert on transforming and educating at-risk students. She is author of At-Risk Students: Transforming Student Behavior, where she explores strategies education professionals can use to assist at-risk youth. She holds a master of arts degree in educational administration and maintains national memberships in Court Appointed Special Advocates (CASA) and the American Society for Training and Development (ASTD) and National Alliance of Mental Illness (NAMI). Charisse is founder of Education & Evolution®, a training and development program designed to equip educators with practical strategies for working with at-risk youth. She is also co-founder of Youth Transformation Services™, an organization that helps youth achieve academic, personal and social success. Charisse lives in Joliet, Illinois and has two adult sons, Robert and Oliver, and two grandsons, Elijah and Landon and one granddaughter, Layla.